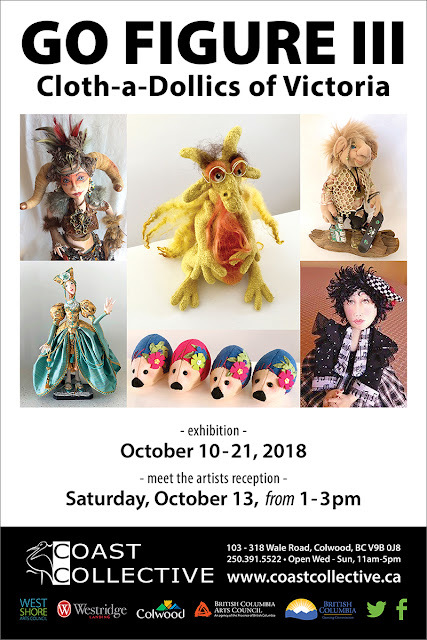 Spread the word, the time is near! 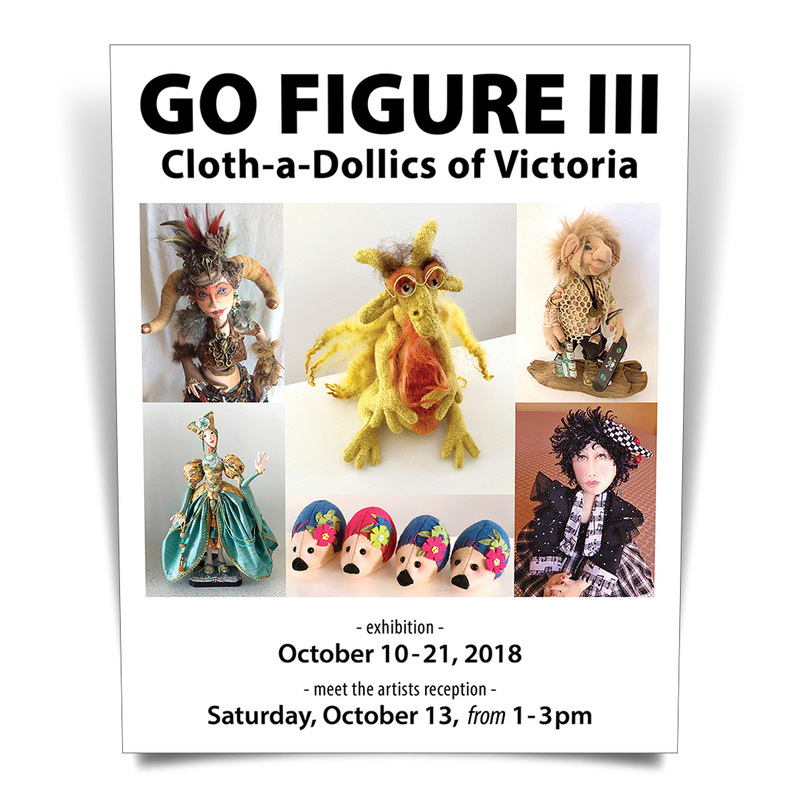 Our club is having a show and sale in October. 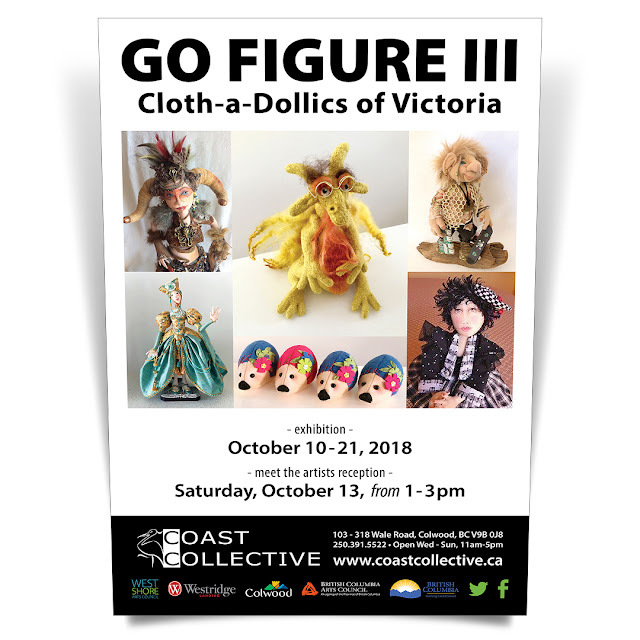 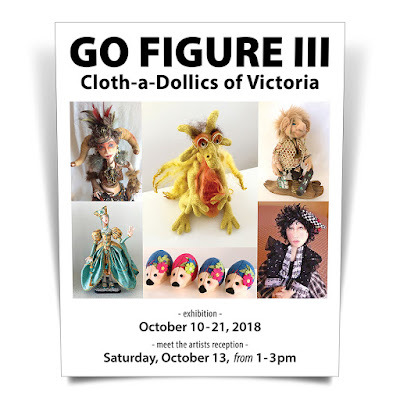 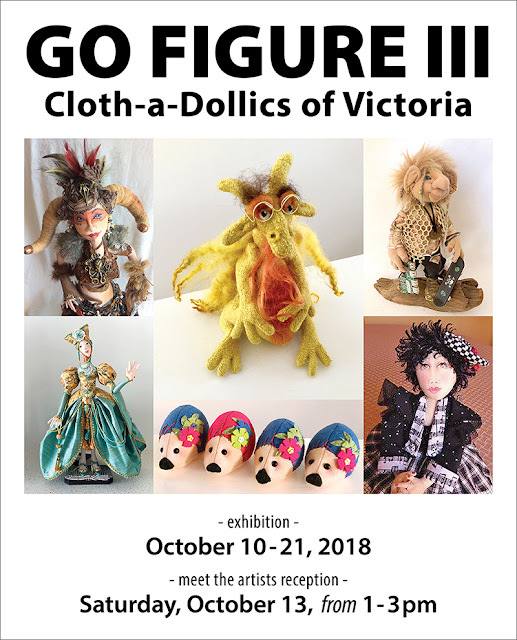 There are 15 of us in the show displaying art dolls both cloth and mixed media, wearable art pins, ornaments and decor. If you are on the island it will be worth the trip to the Coast Collective on Wale Road in Collwood, next to the Holiday Inn Express! Admission is free, open Wed through Sunday, 11am to 5pm with opening reception of Saturday, October 10 from 1 to 3pm where you can meet the artists, have a look see, pick up a gift for yourself or for a loved one and have an appetizer on us.